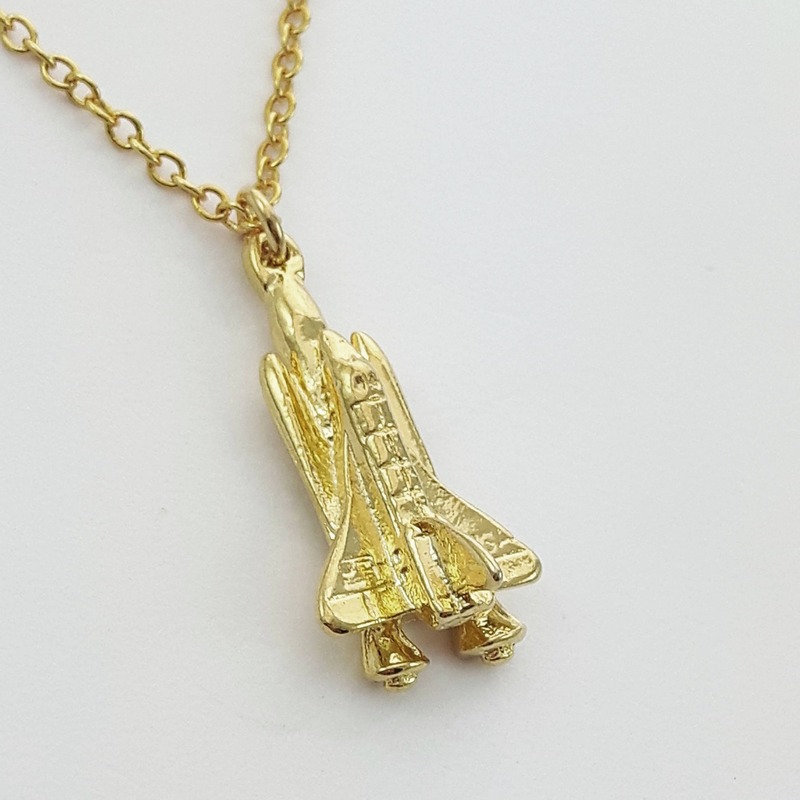 Vintage Gold Rocket Ship Charm Necklace. 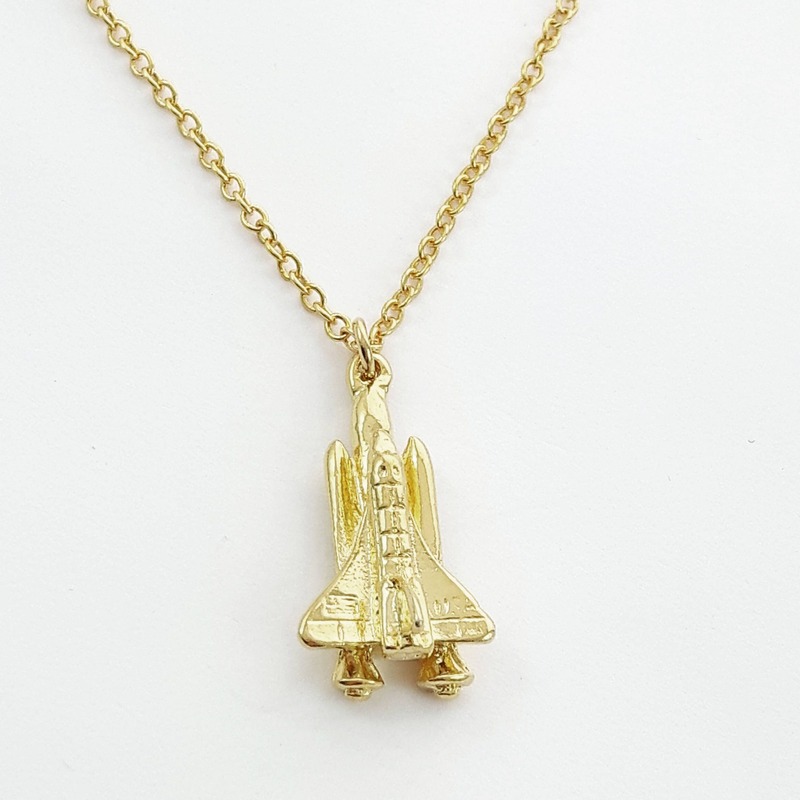 Vintage Gold Plated Brass Space Shuttle Charm Necklace. 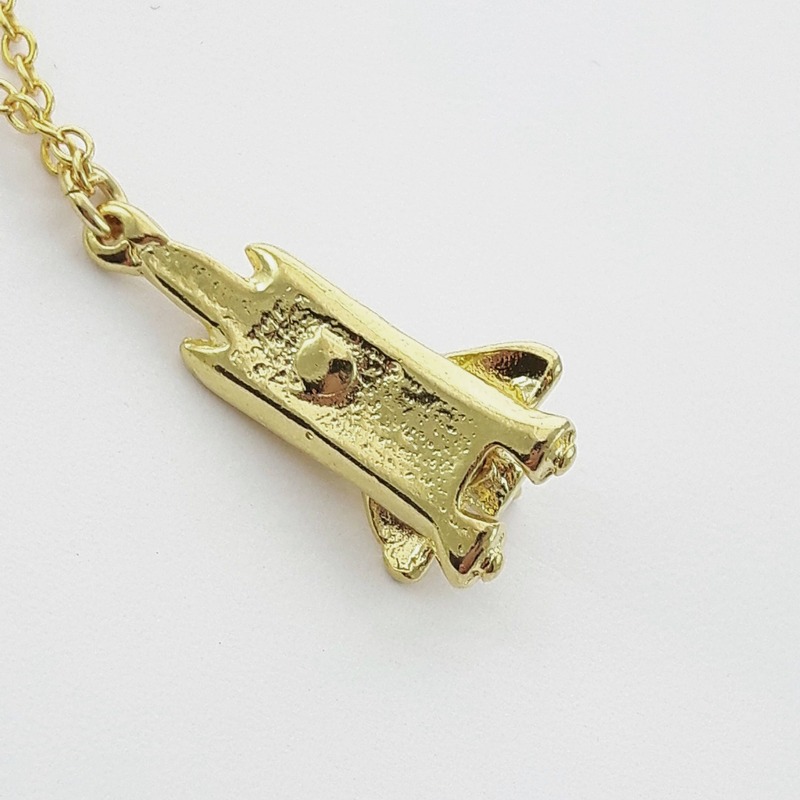 Charm Dimensions: 23mm H x 11mm W.